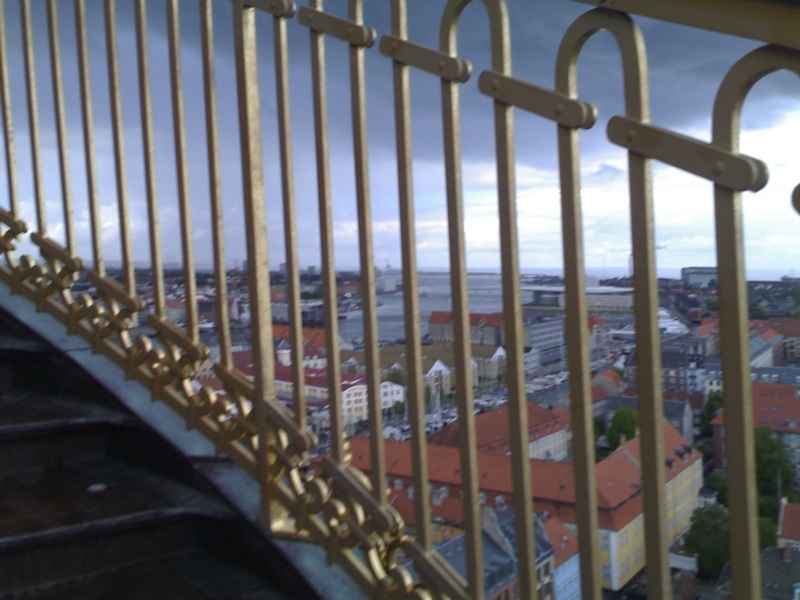 Eleven years ago, in an effort that confounds me when I look back at it, Oliver and I climbed to the top of Vor Frelsers Kirke in Copenhagen. I thought of that rainy May morning today while watching the Bjarke Ingels episode of the Netflix series Abstract. There’s a scene, about halfway through, that features Ingels–superstar iconoclastic Danish architect–making exactly the same trip up to the top of the church spire. 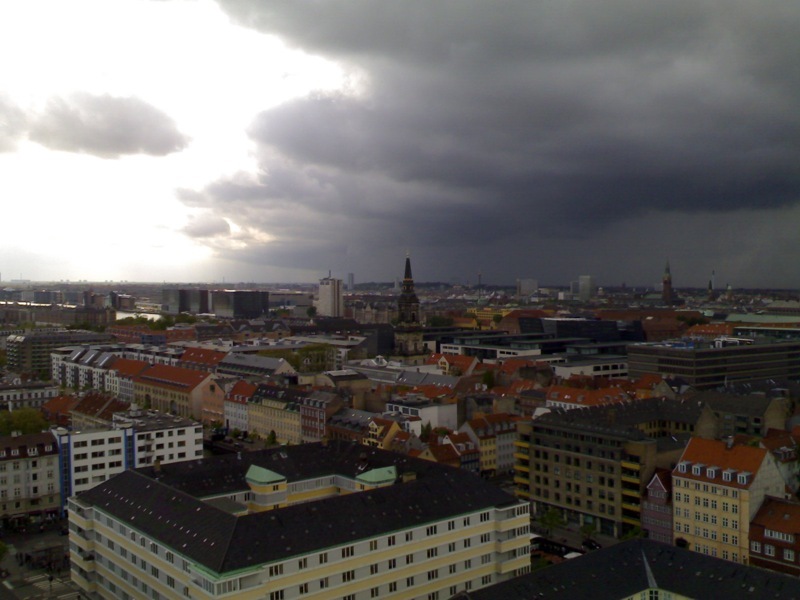 The architect Lauritz de Thurah (1706-1759) designed the spire, his greatest work, and had it approved and paid for by Christian VI. He was inspired by the university chapel of St. Ivo in Rome where Borromini’s Renaissance tower also has an external spiral form. While Borromini built in sandstone, de Thurah used oak, making it possible to achieve the great height of the spire. The spire consists of an external staircase with four twists, starting from the gallery and continuing all the way up. 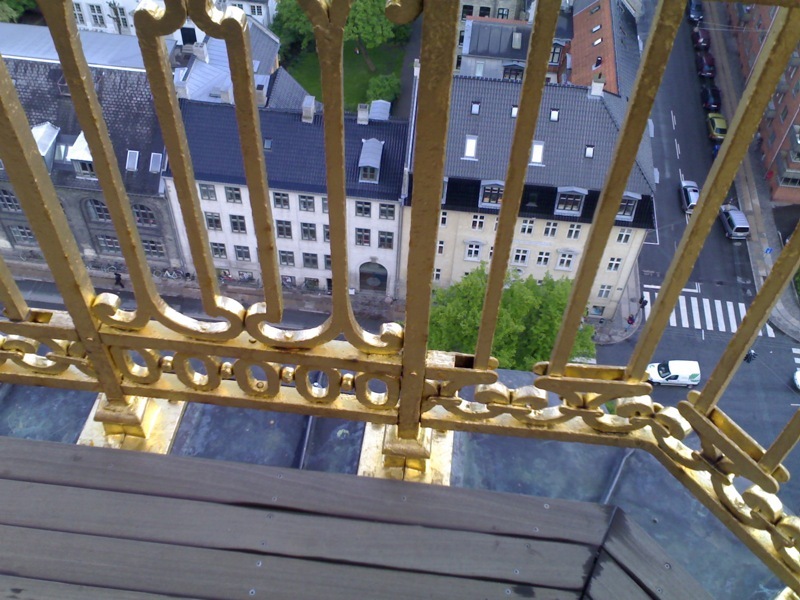 On the way towards the top, the visitor is protected by a gilded iron grating. At the top is a gilded globe from which the gilded figure of Christ with banner looks out over the city. The dimensions of the spire are considerable. It is 90 metres from the ground to Christ’s banner and there are 400 steps to be climbed, of which, the last 150 wind around the outside of the spire. 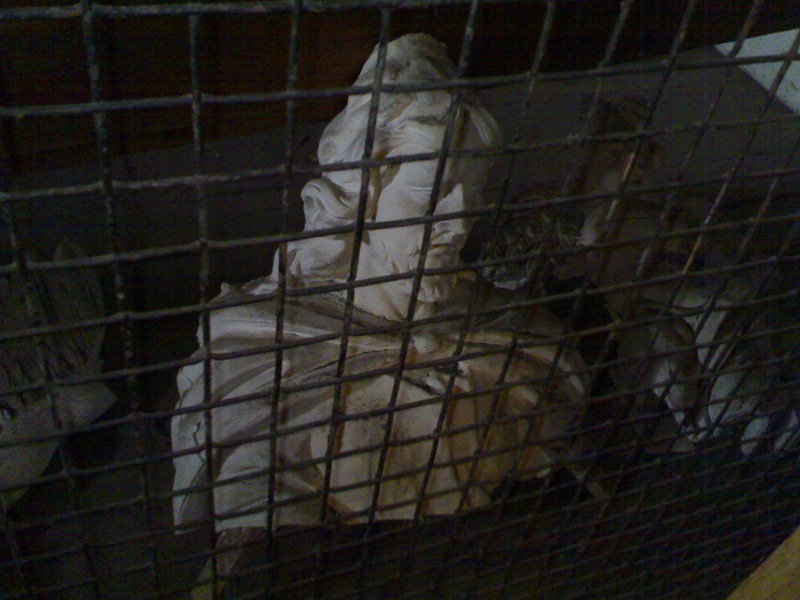 The globe at the top can contain 12 grown men and is 2.5 metres in diameter, the Christ figure is three metres tall. I’d no idea that our climb was regarded as a “manhood test,” and I reject the sexism implicit in that claim. Written February 23, 2017 at 3:07 p.m. The apartment that we stayed in was a couple of blocks from the church and we walked by it several times. I don't remember why we didn't end up climbing to the top. I am regretting it now - especially since I didn't get to pass the "manhood" test. Is it not ironic then that you also have a connection to Oliver’s other feat of terror, riding the roller coaster at Rainbow Valley! Well, Oliver has me on this one. I will have to ask Dale if he remembers why we didn't climb- it may have been due to the fact that I didn't think I would make it. You have me walking down memory lane this morning. I was on google maps earlier figuring out where our apartment was - 14 Prinsessegade. Now I want to go back.